One of the most visited travel destinations in India; Goa is a traveler’s delight for many reasons. I happened to visit this place in October last year and was completely bowled over by the energy of this place. 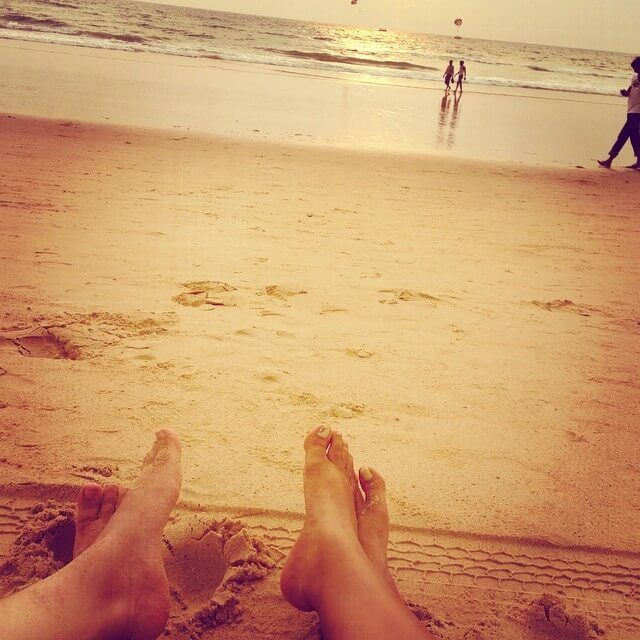 Although my trip to Goa lasted just for 4 days yet the trip was an extremely memorable one. I can’t claim that I traveled the whole of Goa but my trip fairly covered the hot spots of this city. The city has a thrill attached to it and there are many activities that can be undertaken only here. Goa is full of destinations, Wildlife, churches, river cruise, beaches there is so much here. This city is the best holiday anybody can ever undertake. My trip to Goa was an official one, I had visited there for a conference and since we had a lot of free time during the evenings and an extra day, we happened to see a lot of Goa. Although we were expecting a boring conference and dull schedule, our trip turned 180 degrees and it became one of the most fun trips for all of us, simply because it was Goa. Goa is a highly connected union territory that can be reached from most parts of India easily through air, road or rail. Still, most people visit Goa via Mumbai or Pune due to its proximity to these two cities and the wonderful connectivity of these cities from most parts of India. We took a direct train from Khandwa to Madgaon and our journey lasted some 25 hours. The train route to Goa is heavenly especially as the Konkan route starts. You can see beautiful hills, meadows, and waterfalls at this route. As soon as our train reached Goa and we set foot on the Madgaon station, we were welcomed by a great weather and an amazing feel of being in a very hip place. 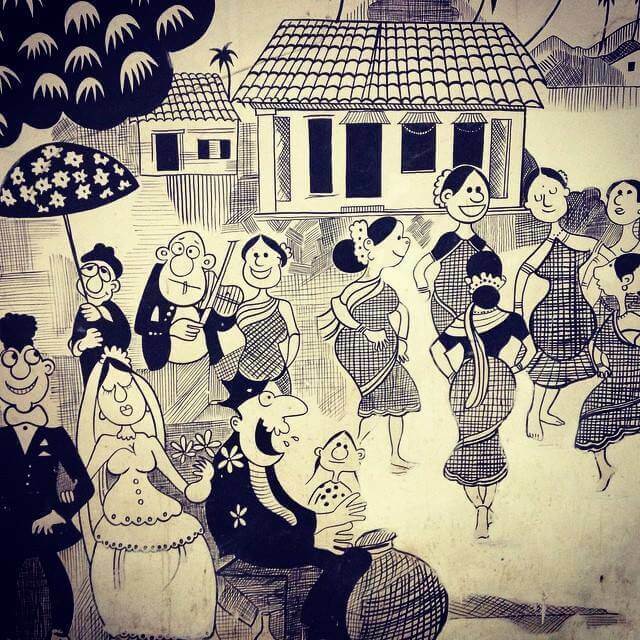 The station walls were full of graffiti paintings showing the folk dances of the place and Konkani women with coconut trees and beaches. Goa is heavenly between the months of November till February with the breezy weather but this is also the time when most foreigners visit Goa due to various festivals, the Christmas carnival and the New Year celebrations thus expect higher hotel and taxi fares at this time of the year. 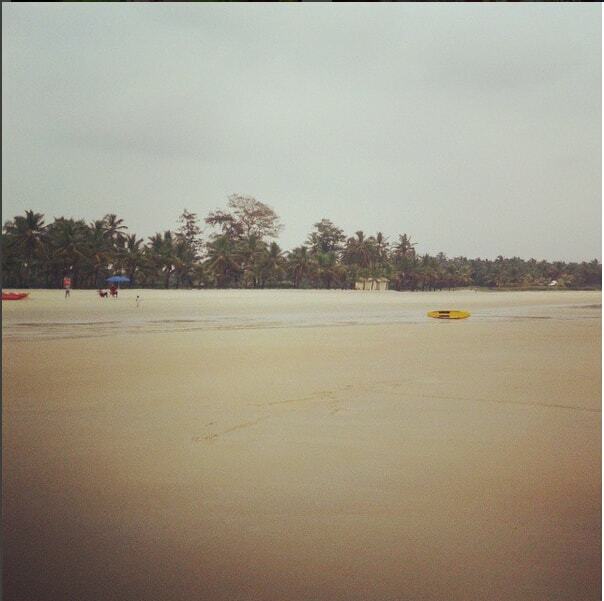 Finding accommodation in Goa is a tedious task, especially if you are visiting during the peak season. Luckily for us, we pre-booked a hotel online in Vasco, near our conference venue. Ours was an average hotel but the rooms were AC and comfortable. There are many hotels for all types of budgets in Goa right from the Leela, Radisson, and Taj to less expensive ones. Most luxury hotels are though situated in South Goa. 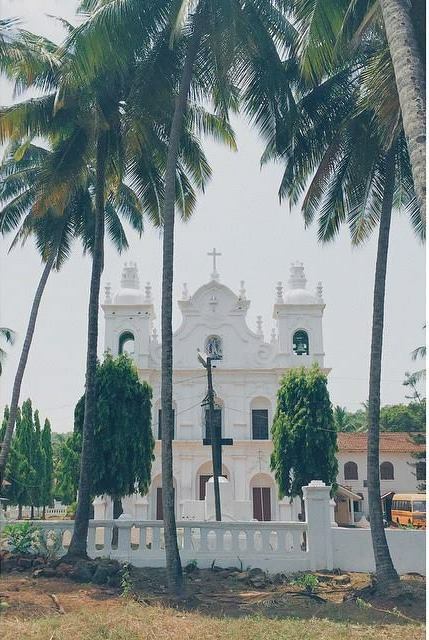 Goa has many a beaches, churches and historical places. 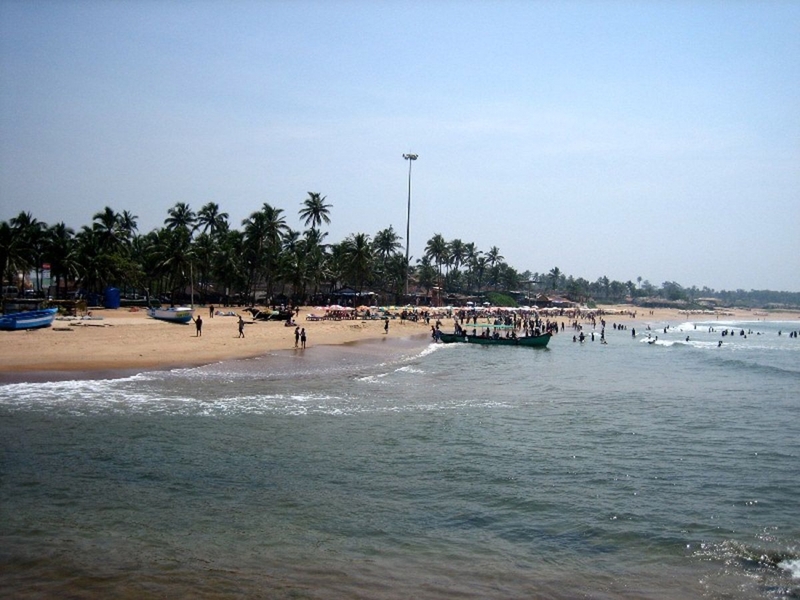 The most popular beaches like the Baga and Calangute are also the most crowded ones instead one can opt for the least crowded Miramar and Leela beaches. One can also indulge in water sports at these crowded beaches, the charges although are pretty high for instance the Para-sailing cost there is Rs 2000. The true treasures of Goa lie in the old part of the city. The capital of Goa, Panjim also lies in old Goa where there is the famous Panjim Market. Here there is the Basilica of Bom Jesus which is a UNESCO World Heritage site and one of the oldest churches of Goa. The church gives a guiding tour where the story of the missionary Saint Francis Xavier was told to us through a light and sound show, the fee was Rs 25. But the real treat for me was the church with its immense peace, there also is a gallery upstairs with the images and books dedicated to the saint and there was a library around. Opposite to the church lies the museum maintained by the ASI. From here we visited the Panjim market on a local bus. We bought a few one pieces, bag and scarves here and then moved on to a restaurant to eat the traditional Goan food in Panjim. Goa is also famous for inexpensive beer and cashews. Everybody who visits here consumes lots of booze and takes back a lot of cashews. One of the major attractions of our trip was our 2 wheeler drive across south Goa. We rented scooters and went on into the interior of the city while covering several beaches, several restaurants, various plantations and huts, and grooves. The rent was nominal in which they charged us the cost of 2-liter petrol and Rs 150 as rent for the day. We rented the scooter in the morning and returned it at 7 pm in the evening. This was one of the best experiences for us in Goa and we happened to explore this beautiful Konkan belt so closely while taking many halts. The food of Goa was also a highlight for us and we enjoyed the yummy food here every day including prawns, fish fry, Goan boiled rice, the yummy dessert of Goa Bebinca and the dry fruit chikki. 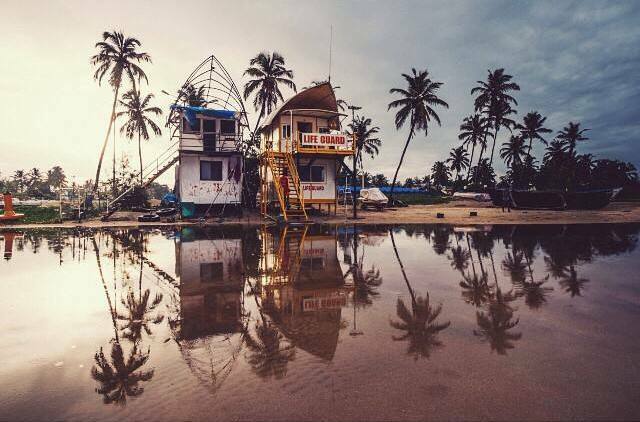 There are many fun activities that can be enjoyed in Goa including water sports, snorkeling, water swimming, you can also party at discotheques especially at the Baga beach which is one of the most famous party beaches in Goa with Tito’s and Café Mambo as its most popular discotheques. There are many other attractions of Goa that we were unable to cover due to lack of time. But if you have time then do visit the Dudhasagar waterfall near Panjim which is one of the major attractions, also the Bondla wildlife sanctuary is also known to be a good spot especially if visiting with kids. You could also go on the river cruise on River Mandovi which charges a minimal Rs. 650. You could also visit the Goa science center which is also a major highlight here. There is so much in Goa to be explored by people of every age and with varied interests. I had a great time during this trip whether it be the peaceful churches or the happening beaches. Thus I realized that really Goa is the most happening destination in India and definitely worth a visit once in a lifetime.